The “Frampton House” property was part of an original King’s Grant to the Frampton family in the 1700s. In 1865, General Sherman’s troops burned the plantation house and all the farm buildings that stood on this site. In 1868, John Frampton rebuilt the present charming Lowcountry farmhouse and continued to work the land. About 1930, major renovations were made to the old house that included adding indoor plumbing and electrical wiring, and applying the first thin sheet rock or dry wall, replacing the old lath and plaster walls. 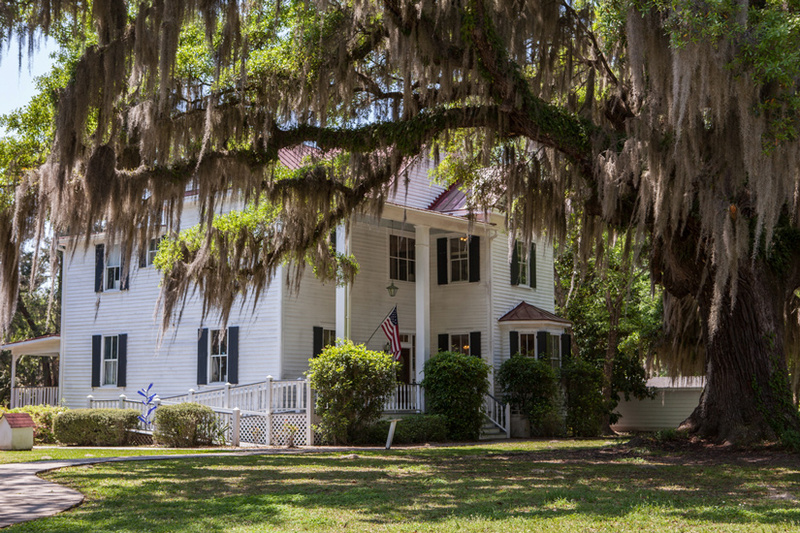 In December of 1993, Wymann Boozer, a Columbia developer, donated the “Frampton House” to the Lowcountry Tourism Commission for the creation of the Lowcountry Visitor’s Center and Museum thereby assuring restoration of the old farmhouse. The preservation of the magnificent old oaks that frame the building and the Civil War earthworks in the backyard (erected by Robert E. Lee’s troops in defense of the important railroad supply line for the Confederacy from Savannah to Charleston) were also guaranteed. Today, major renovations have taken place to prepare the “Frampton House” for resurrection and a new life. The Lowcountry & Resort Islands Tourism Commission has moved its offices into the upstairs of the “Frampton House” and the downstairs now serves as the Lowcountry Visitor’s Center and Museum. The front room on the ground floor offers visitors a view of a recreated 1900s plantation house parlor or sitting room, complete with antique furnishings. The adjoining room features display cases from the ten museums in the four county Lowcountry regions, and encourages travelers to get off the interstate to see the museums in the surrounding communities. This room also included displays from Walterboro’s South Carolina Artisans Center, and a special display about the many major pictures filmed in the Lowcountry.. The Center’s Plantation Gift Shop offers unique souvenirs and distinctive gifts, including many South Carolina items. Our restrooms are always clean and we are open seven days a week from 9-5:00. The Lowcountry Visitors Center & Museum is located just off I-95 at Exit 33 & US 17. We hope you enjoy your visit to South Carolina and that you will come back to see the additional developments at the Lowcountry Visitor’s Center & Museum.